Building 754 will be off-line for duration of construction period 29/10/2018 to 22/02/2019. Refurbishment of existing teaching spaces, which facilitate CSU's desired pedagogical practice. 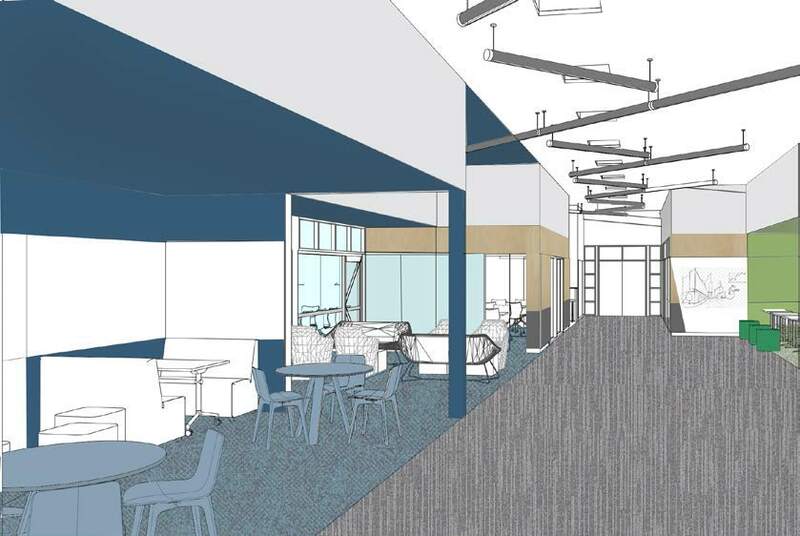 Enclosing the central corridor space to provide study & breakout spaces and installation of climate control system. New furniture and equipment including upgrading DIT AV equipment. Enclosing corridor space to allow for air conditioned space. Activated corridor space to allow collaborative and informal space for students. Flexible furniture changes to Learning Space. Upgrade AV as per CSU Standards. Changing the features of the building to maximise comfort and energy efficiency by enclosing the central circulation space, increases the usable area for students to meet and collaborate, study and relax between lectures and lessons. Please refer to the invitation to celebrate and showcase the success of this project, the event is planned for Wednesday 27th of February 2019. The contract was recently awarded to Joss Construction for this project and works will commence on Monday 29th of October 2018. Please refer to the Site Establishment Plan for further information.